Summary: All too often, the shepherds whom God called to lead His people as He desired instead led them astray or sat idly by while the Church, His flock, wandered off on its own. His only recourse was to enter His Creation and become the Shepherd Himself. 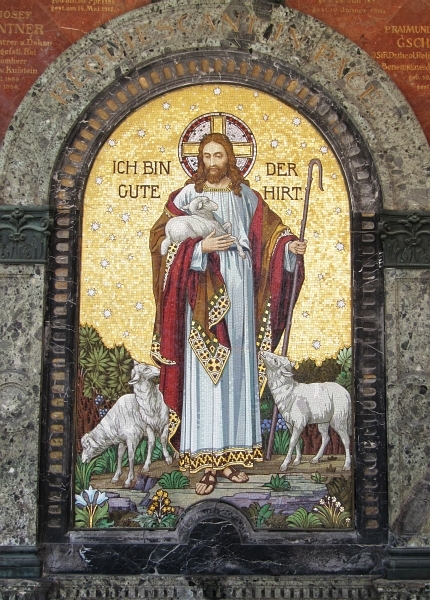 Jesus came as the Good Shepherd and called the scattered flock to Himself. 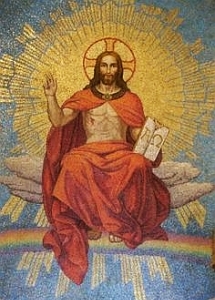 Likewise, He is the God who will judge, as He taught in today’s Gospel. He is also the new David who serves as the eternal King. Israel’s remnant acknowledged this as they called out their hosannas to the Son of David on Palm Sunday. Text: “For thus says the Lord God: Behold, I, I myself will search for my sheep and will seek them out. As a shepherd seeks out his flock when he is among his sheep that have been scattered, so will I seek out my sheep, and I will rescue them from all places where they have been scattered on a day of clouds and thick darkness. And I will bring them out from the peoples and gather them from the countries, and will bring them into their own land. “And I will feed them on the mountains of Israel, by the ravines, and in all the inhabited places of the country. I will feed them with good pasture, and on the mountain heights of Israel shall be their grazing land. There they shall lie down in good grazing land, and on rich pasture they shall feed on the mountains of Israel. Audio: Click to hear the MP3 of Our Shepherd, Our Judge.